With REQCHECKER™, get back to simplicity. While remaining non-intrusive and without specific environment, it controls your documents and checks the coverage of the requirements. REQCHECKER™ gives you the benefit of requirement engineering to projects with an inexpensive tool. You don't want to waste time and money with a complex tool? •	Are you a Software / System Engineer? Check that specification matches the upstream documents, or check that test plan covers all your specification requirements. Increase the consistency and ease of reading of requirements. •	Are you a Buyer? Make sure that sub-contractor response meets all requirements or all headings of your RFP or RFI. Check the coverage rate between different offers. •	Are you a BID Manager? Reassure your customer: prove that your proposal covers all the parts of the call for tender. Make sure you document is clear and easy to read. •	Are you a Training Manager? Make sure that your slides or your training software cover all source documentation. •	Are you a Quality Manager? Make sure that your quality system meets the requirements of your quality standard EN9100, ISO9001 etc. Keep your existing documents ! 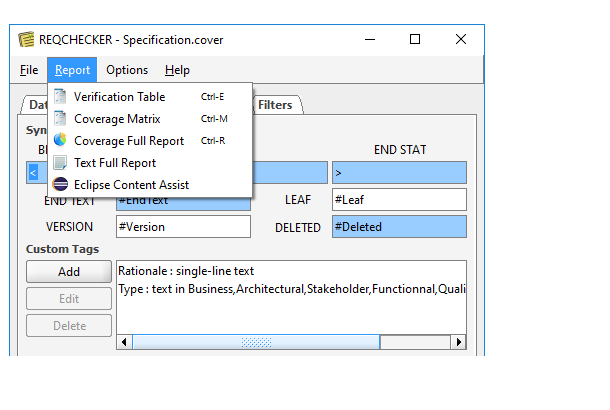 Reqchecker™ analyses your documents under several formats: WORD, EXCEL, POWERPOINT, PDF, source code, XML and more. No requirements in your upstream documents? No problem, Reqchecker™ can use the heading numbers for PDF and WORD documents. 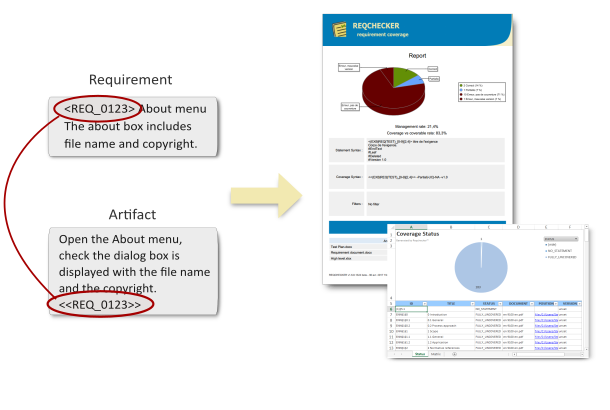 Create your own requirement attributes and extract them from any source format. 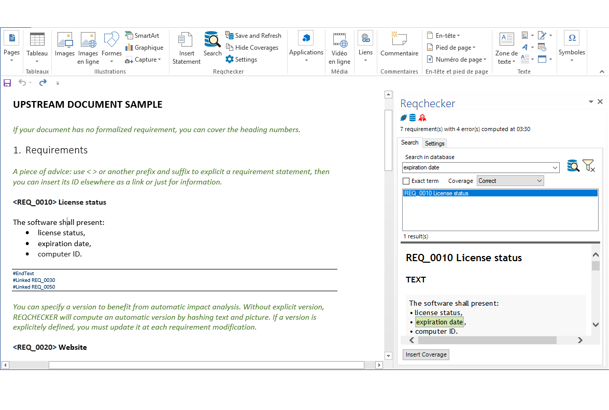 Author your documents with the powerful Reqchecker add-in for MS WORD. Increase consistency and ease of reading with the results of automatic controls. 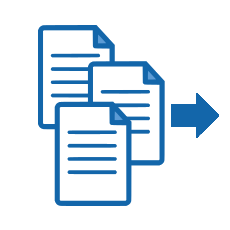 Check requirement traceability with powerful features: 5 statuses, automatic versioning, quantifiable partial coverage, management, coverage rate and more. 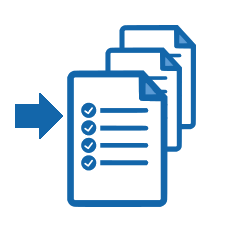 Change the input documents and Reqchecker™ shows where your documents must be updated. 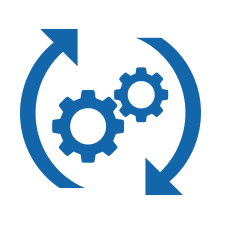 The automatic impact analysis checks propagation of all requirement changes using version management. Generate the PDF full report with FREE version and advanced reports with PRO version: interactive verification sheet, interactive coverage matrix, Eclipse assistant XML file for Java and C++, Java enum to integrate the last version of your requirement directly into source code.